All the rumors are true! Sony has just announced a partnership with Shanghai Oriental Pearl Group to produce and sell PlayStation consoles in China. There have been plenty of knock-offs floating around on the grey market, but this new partnership with Sony marks the first time in 14 years China will allow the sale of consoles. Sony has not yet revealed exactly when the PlayStation consoles will go on sale, but has confirmed that the two partnerships with Shanghai Oriental Pearl Group gives Sony a 70 percent stake in one venture and 49 percent in the other. According to an executive from Shanghai Oriental Pearl, “The joint venture will be based on the relevant state policies and will introduce quality and healthy video games that will adhere to China’s national conditions as well as the tastes of Chinese gamers.” Looks like no digital girls in bikinis for China then. China’s ban on video game consoles was put in place in 2000, with officials pointing to their potentially detrimental effects on the mental health of young people. 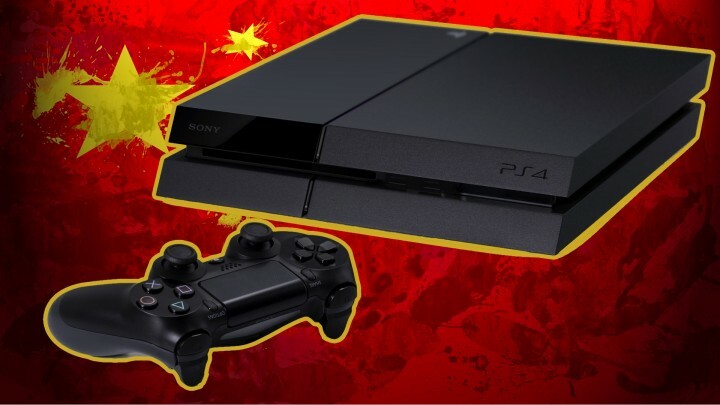 However, earlier this year, China’s State Council lifted restrictions on the importation and sale of foreign video games consoles, giving companies like Sony and Microsoft the green light to move in on the Chinese gaming market. There are an estimated 500 million gamers residing in China, but with so many “PolyStation” and “PZ3” consoles already available, it’s still unclear how well the genuine Sony PlayStation will fare.